I distinctly remember a friend visiting me one December day towards the end of 2016. I was having a particularly down morning because of a few issues that just weren’t resolving themselves as I had hoped they would. In my despair, I was blasting my Oliver Mtukudzi playlist on my laptop and cleaning every corner of the house to avert any further frustration. The whole scenario struck her as odd as she knew me to listen to other types of music, mostly international. And she hadn’t realised that I happened to be a quite serious ‘Tuku’ fan. There were a range of reasons for her surprise. One, as I have already mentioned, is that we mostly talked about our shared penchant for non-local music. The other was that, as many people read me, I am what is referred to as a ‘musalad’. It is a term that cannot really be given a clear cut definition because of people’s different interpretations of it. My understanding of the term is; someone from a low-density suburb and from a so called group ‘A’ school (private school) who is not streetwise, copies Western culture (mainly American) and speaks English with an accent. In other iterations I have heard of the term, a ‘musalad’ is seen as someone who refutes local culture in all its facets (including food) and therefore only consumes ‘high end’ products like salads and takeaways. Being referenced as a ‘musalad’ therefore connotes – most often derogatively – a lack of consciousness of, or interest in, one’s own local traditions and markers of what is perceived to be a sense of ‘belonging’, and wanting to belong. In a parody song by ExQ, a popular local musician of the urban grooves genre of music from the early 2000s, the singer affirms himself as a ‘musalad’ and posits various scenarios that point to why he is one. These include his lack of interest in visiting his rural-based family and conducting chores like chopping firewood while there and his distaste for the popular, and populist, sungura music genre. To be referenced as a ‘musalad’ is, therefore, to be classed and pigeon holed into an identity that very often lacks nuance and which is ironically often derided, but also sometimes aspired towards as a marker of worldliness and progressiveness. Some years ago, I wrote an article for the Mail and Guardian in which I reflected on my private school upbringing. In it I recounted being 15 years old and struggling to find a poet to write a poetry assignment on as a result of feeling a strong dissociation from the popular poets we started like Shakespeare and Keats. The counsel of my English teacher was to perhaps think about doing the assignment on the works of an African poet. To say I felt exasperated would be understatement. I felt shattered that she thought my efforts would best be served by looking at some poet whose works we’d never studied before, a poet from an impoverished continent whose verse I imagined would be equally lacking. Surely there was some contemporary Western poet who could fit the bill better, I thought to myself. Very little about my private school education – from my studies in English literature, history, music appreciation and other cultural studies – reflected anything about my black Zimbabwean identity. Instead, the focus was often on western themes, traditions and critiques. As a result, my own perception was that there must be something woefully incompetent about cultural artifacts of my own continent and country. For that poetry assignment, I therefore disregarded my teacher’s advice and did my assignment on Robert Frost, an American poet. It was only after high school that I began to explore and interrogate a world where I could aggregate my identity as I saw fit, and express myself in what felt most comfortable to me, but which I rarely saw in my private school system – which is in my blackness and Africaness. I began to read more local literature and find more resonance in these texts I consumed voraciously, than in many of the others that I had read as part of my schooling and which made very little reference to the possibility of the existence of people like me. And it was in this navigation that I found Oliver Mtukudzi’s music. Growing up, like many other Zimbabweans of my age group, we danced along to catchy Mtukudzi favourites that constantly blared on TV and radio like ‘Chimbambaira Chiri Mupoto’, ‘Nyanga Yenzou’ and ‘Pss Pss Hallo’. But I remember that it would be many years later that I discovered Mtukudzi as not just an entertainer, but a purveyor of a deeper wisdom and insight. One day, in my late teens, I distinctly remember reading the album sleeve for one of his CDs. While it gave the lyrics to each song featured on the album, it also gave deeper allegoric interpretations to them. And I began to realise that many of the songs that I had listened to passively bore deeper messages and meaning than I had ever fathomed. As a result, a lot of Mtukudzi’s music became a companion to my 20s and now my 30s. ‘Handiro Dambudziko’ taught me to look for the deeper causes of gripes and pains beyond the superficial, while ‘Hariputirwe’ reminded me that what remains darkly hidden, will not always be such – a lesson I understand better as I grow older – just as I better understand the importance of time and timing from songs like ‘Ziva Nguva’. ‘Ngoromera’ reminded me that there were always different ways to resolve conflict, while ‘Pindirai’ alerted me to the urgent need for personal responsibility in the fight against the collective destruction of this planet we call our home. ‘Dzidziso’ reminded me that there was always humility in giving thanks and seeking forgiveness when I was wrong while ‘Njuga’ humbled me in a reminder of my personal responsibility in some of my life’s disasters. And ‘Totutuma’. Well it is just simply the most beautiful song of pride and celebration I think I know. A lot has already been written and said about how Mtukudzi’s vast repertoire of music spoke to a range of social justice issues from the rampancy of HIV to domestic violence to political plunder and destruction. But to me, Mtukudzi was always a personal companion, instructing me on how I could do and be better; and learn and grow. In my constant navigation and negotiation of my identity, I know that I will always surprise someone with what their perception of me is, against who I see myself as. In some ways, I have made peace with that. Being perceived to be a ‘musalad’ is not all there is to me; and I don’t need to explain my nuances or complexities to anyone really. I just am who I am, and who I continue to make myself into. 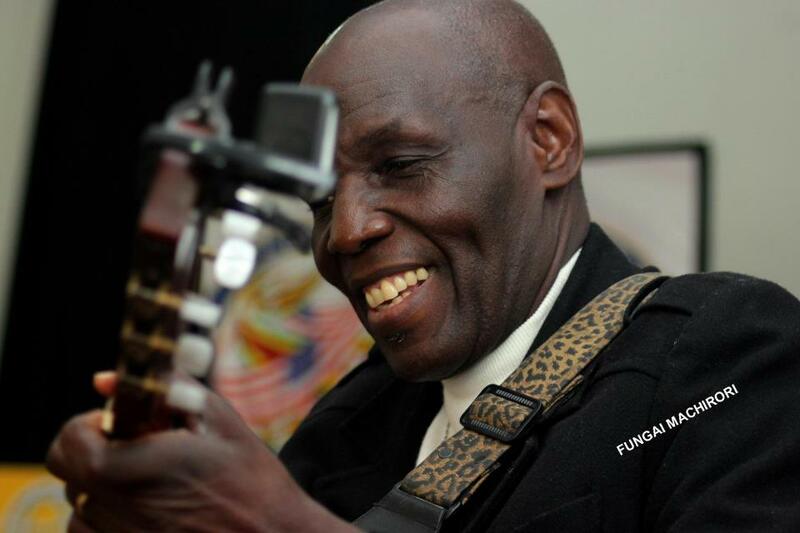 I thank Oliver Mtukudzi for his part in my self-discovery, which he – no doubt – will continue to be part of through his music that will still speak to me. In many ways, he is the poet that my 15-year-old self would write about, if I could take back all the time and shame I invested in running away from some of my nearest truths. Rest easy Samanyanga and thank you again. Beautiful. Revisted “Vhunze Moto” because of this piece.Genius.